In line with this motto, they’ve removed all harmful substances from their food. No need to worry about artificial colors or flavors, high fructose corn syrup, or monosodium glutamate when ordering from Jason’s Deli. They’re committed to serving real food with real flavor. If ever you find yourself in need of good, clean food for a party, look no further than Jason’s Deli. With 260 stores in 29 states, healthy food isn’t too far out of reach. Obviously, the best thing about Jason’s Deli is their delicious and nutritious menu. Customers can choose from a wide range of salad platters, nourishing sandwich trays, and filling pasta bowls. Additionally, there are trays of easy-to-hold wraps that would be perfect for casual settings. Lastly, indulge in some guilt-free goodness by ordering a bakery box filled with an assortment of yummy pastries, or a build-your-own yogurt parfait setup that’s sure to delight all your guests. Since they’re committed to their customers’ health, a comprehensive nutrition guide is available on the official Jason’s Deli website. Through this, you can create a customized menu free from specific allergens or foods that just aren’t part of your or your guests’ diets. It even has a section on kids’ meals, to ensure the little ones are getting all the nutrition they need to grow properly. If you merely want to calculate the amount of sodium, protein, etc. in your food, you can do that too with their online nutrition calculator. Claiming on their website that feeding groups on short notice is their specialty, Jason’s Deli offers same day delivery for their food, with deliveries starting as early as 6 am. However, for groups of 500 people and up, it’s best to order at least 48 hours ahead of your event. Ordering catering from Jason’s Deli can be done online. Their website has has suggested packages for office events, house parties, and even school and church get-togethers in case you’re at a loss for ideas, and the order form is readily available on every one of these package pages. As with all catering services, inputting the exact address, date, and time of the event, as well as the number of guests, is crucial. Jason’s Deli takes things a step further by asking customers how they want their food served: buffet or sit down meal? Among the healthy catering options out there, Jason’s Deli definitely ranges around the lower end of the price spectrum due to their budget friendly food. Delivery is never late, and the staff are trained to set-up the food so it’s presentable and party-ready. 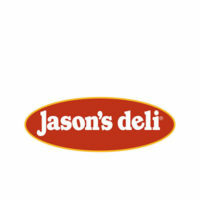 You won’t have to lift a finger or worry about a quality when ordering from Jason’s Deli.